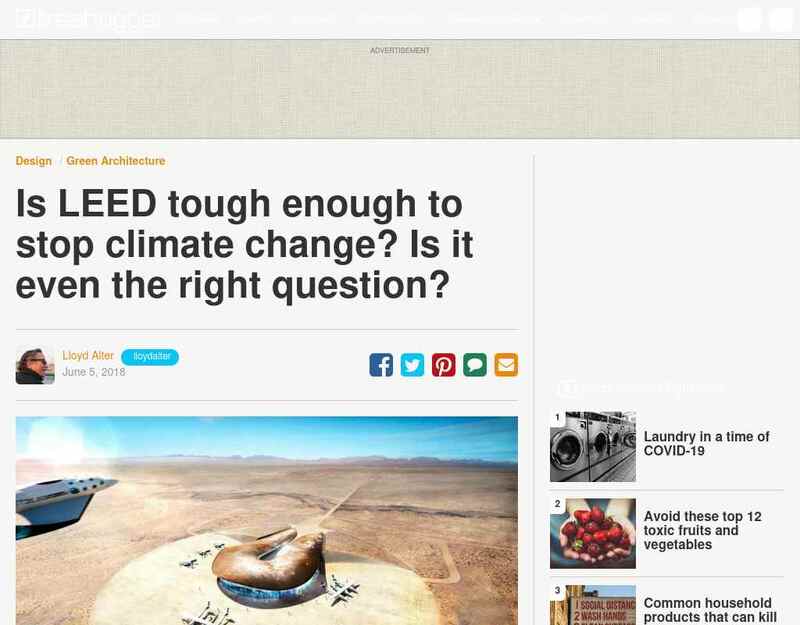 "..Over on Citylab, Brian Barth wonders Is LEED tough enough for the climate-change era? Barth describes how LEED really changed the green building world. "A vast ecosystem ... LEED is now baked into many building codes and municipal bylaws." "..It used to be fashionable to bash LEED, the green building rating system established by the US Green Building Council. These days ... Barth describes how LEED really changed the green building world. "A vast ecosystem of green commerce has grown in ..."